Jill Atkinson admits she is a little “borderline OCD” when it comes to clean spaces. “I feel I’m most productive when the spaces around me are clean,” she explains. A former teacher, she founded Neat Freaks in 2004 to fill the summer work gap. It’s since grown into one of WNY’s leading cleaning services (and has become Atkinson’s full-time job). Families. There is so much going on: parents who work, extracurricular activities and appointments. Cleaning often takes a back seat, and then during the weekend it either consumes the only family time there is, or it’s just not addressed and adds a lot of stress. Most of our customers have their homes cleaned during the week so that they can enjoy it on the weekends. Spring cleaning is a time to tackle all those areas you don’t do regularly. Here are the items that make the top of my list: baseboards, doors and frames; windows and screens; curtains, shower curtains and mats; blinds; the inside of the refrigerator. If you have kids, put them to work. If they are young like mine, it’s a great way to train them—and if they are not so easily moldable, offer an allowance! 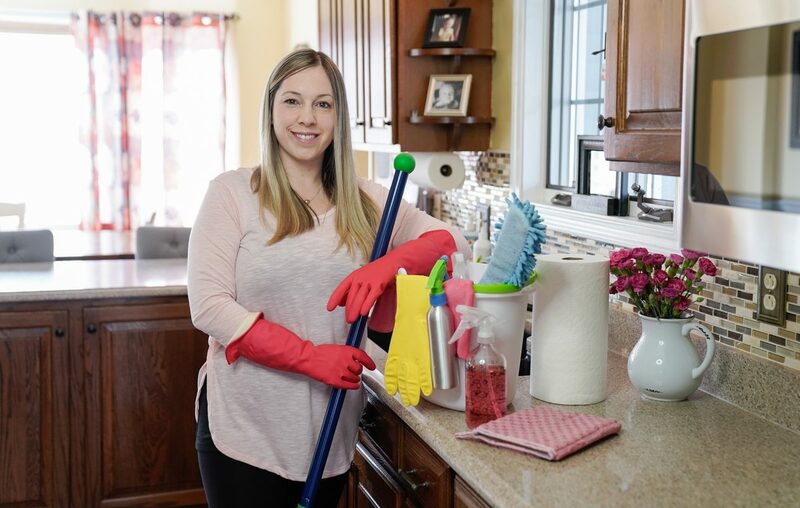 How can new clients prepare for a cleaning? The most important thing is to have realistic expectations. Depending on the current state of the home, it may take a few visits to get it in shape. At that point, recurring visits should take less time and accomplish more, as long as some general upkeep is taking place between visits. It was several years ago, an apartment where the tenants skipped town. They left the place in a condition that should have resulted in being condemned. Best cleaning strategy people can adopt themselves? First, purge things that you don’t use, want or need. The effects of clutter are terrible! Then, make a weekly cleaning schedule and stick to it. I clean my kitchen every single day but then rotate in all the other areas throughout the week. This way nothing gets too built up and I am only spending 15-30 minutes a day cleaning. I leave the deeper stuff to someone else so I can get some extra snuggle time with my babies!